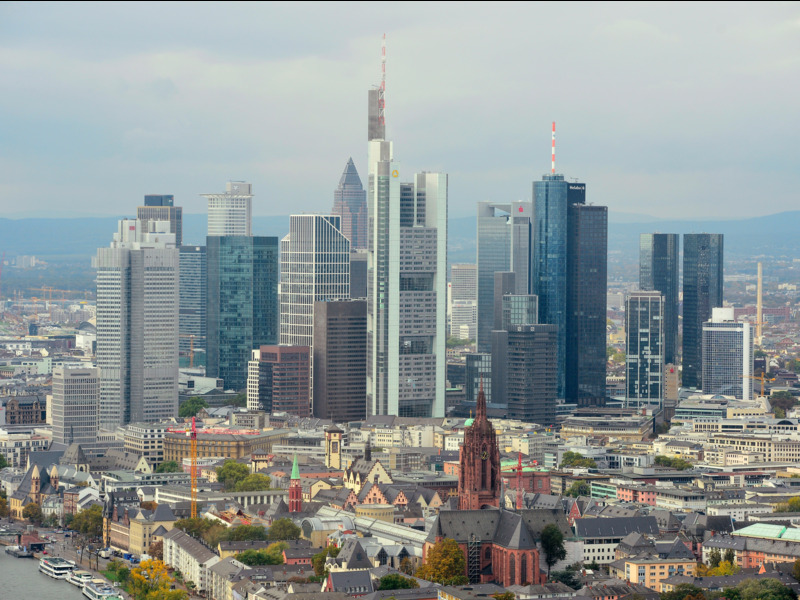 Thomas Lohnes / Getty ImagesFrankfurt is a major European centre of finance. London’s bankers should seriously consider moving to Frankfurt, Germany if the UK leaves the EU on June 23, according to salary benchmark site Emolument. With analysts predicting a UK banking collapse if a Brexit goes ahead, many workers in the sector will be considering their options. Emolument’s salary research shows that Frankfurt beats Paris for pay at almost every level of banking — including analyst, VP, Director, and MD. According to our data, satisfaction depends on the ratio of bonus to total compensation. 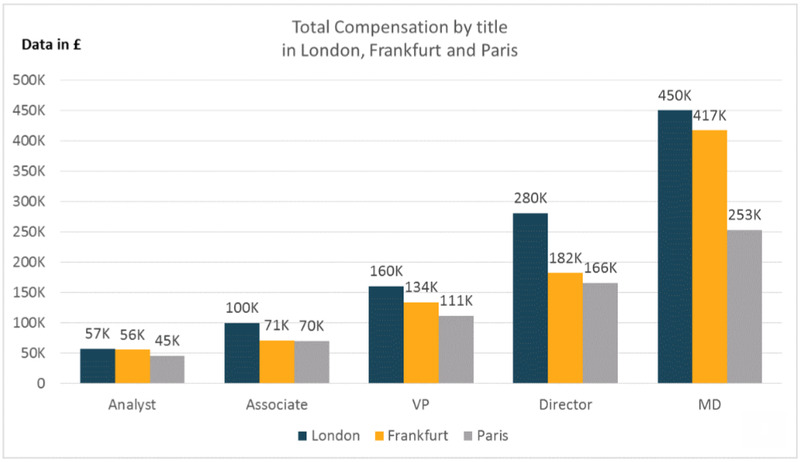 Pay packages in Paris show lower base salaries than in Frankfurt but bonuses making up a larger portion of total earning, which as a results feels more satisfactory. If Brexit were to occur, some banks have already announced they would be looking to relocate some of their front office activities to continental offices (such as Goldman Sachs to Paris). Until now, prestigious banking jobs were usually to be found in London; an attractive set of opportunities on the continent could, however, give London bankers cause to leave the UK: look out for a shift in high-end property prices in Zone 1. The EU referendum is still too close to call. A recent Survation poll showed the Remain and Leave sides virtually neck and neck with just one day to go until the vote.